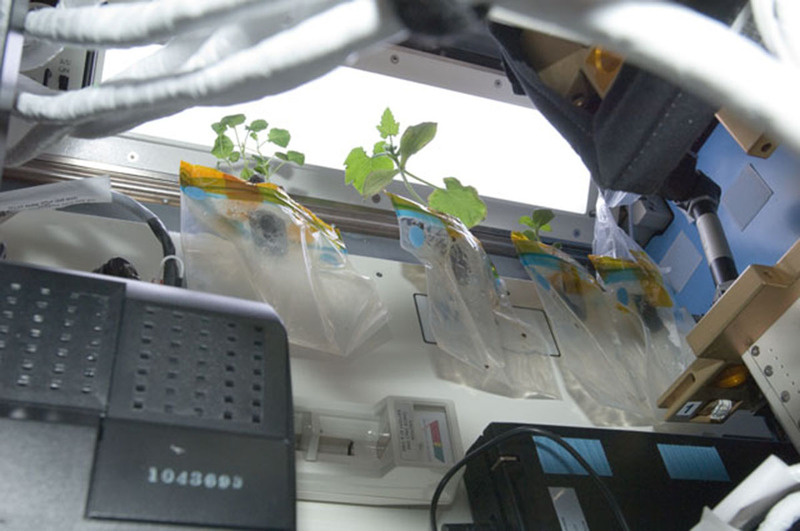 An LED light including its internal controller that spent approximately nine years aboard the International Space Station (ISS) is being studied by University of Kentucky College of Engineering faculty and students, as well as industry partner Faradine Systems, to determine whether industry-grade hardware is adversely affected by space’s radiation levels. 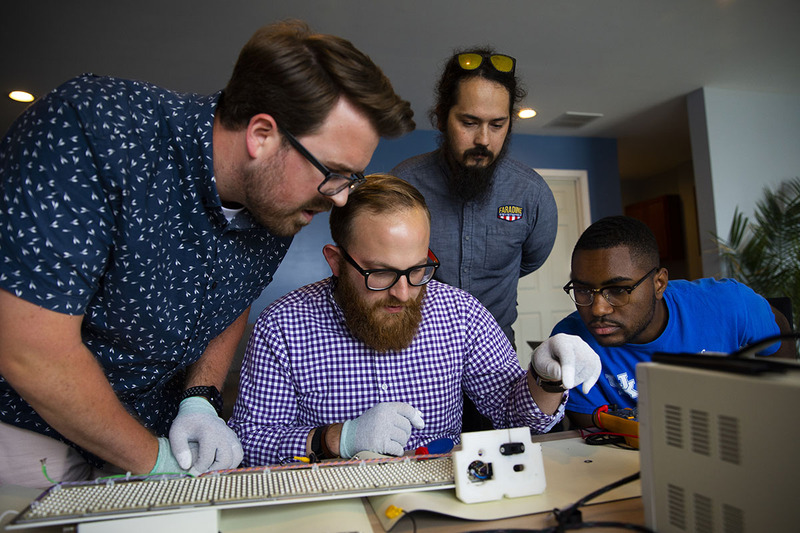 The project, “Light-module Interface Testing and Evaluation University Partnership”—or, LITE-UP, is funded by a NASA Established Program to Stimulate Competitive Research (EPSCoR) grant and serves as a pilot for a recently launched NASA EPSCoR Rapid Response Research (R3) program. 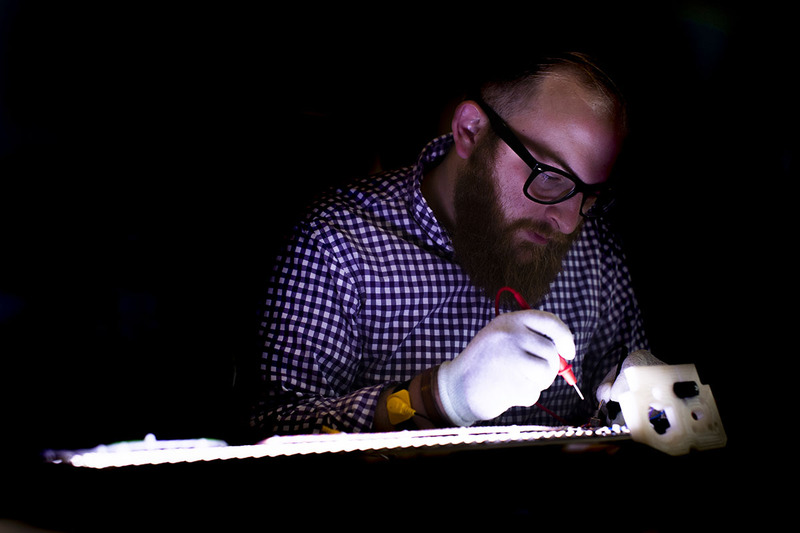 The research group is also working with Bill Wells at Bionetics--the original designer of the light box. 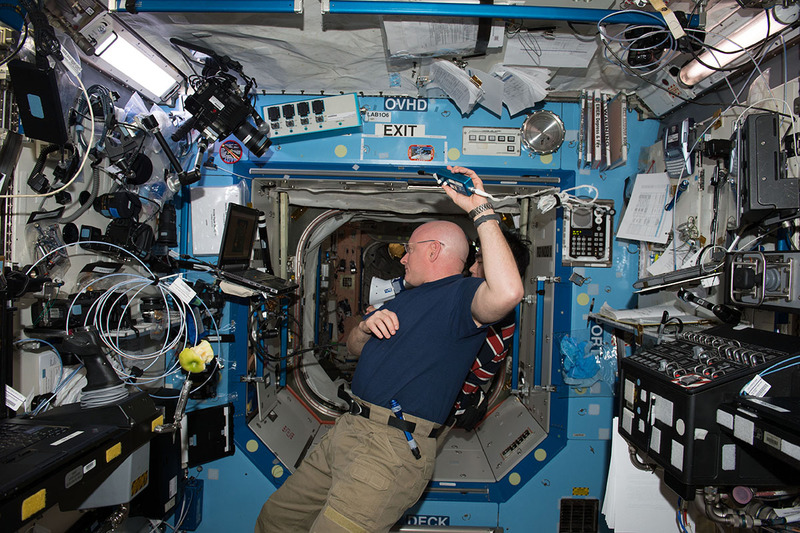 Objects in space are exposed to varying levels of radiation, even inside a structure like the ISS. Because the ISS orbits between 205 and 270 miles from Earth--approximately as far as Lexington to Paducah--low radiation levels permit using industry-grade materials as opposed to military or aerospace-grade materials. As a result, components are not only less expensive to manufacture, but also expendable when replaced. Donald and Gertrude Lester Professor of Mechanical Engineering and NASA Kentucky Space Grant and EPSCoR Programs Director Suzanne Weaver Smith noted that the UK/Faradine team is the first research group to analyze ISS hardware for effects of radiation. 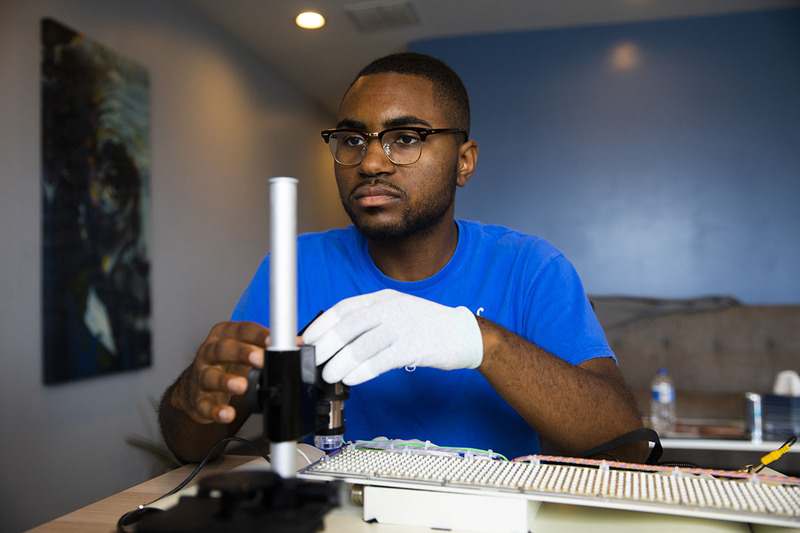 Chris Mitchell, who graduated from UK with a computer engineering degree in 2013, founded Faradine Systems and serves as its CEO. “Faradine Systems is pleased to continue our ongoing relationship with the UK College of Engineering and NASA Kentucky to foster a healthy and vibrant aerospace industry in Kentucky. 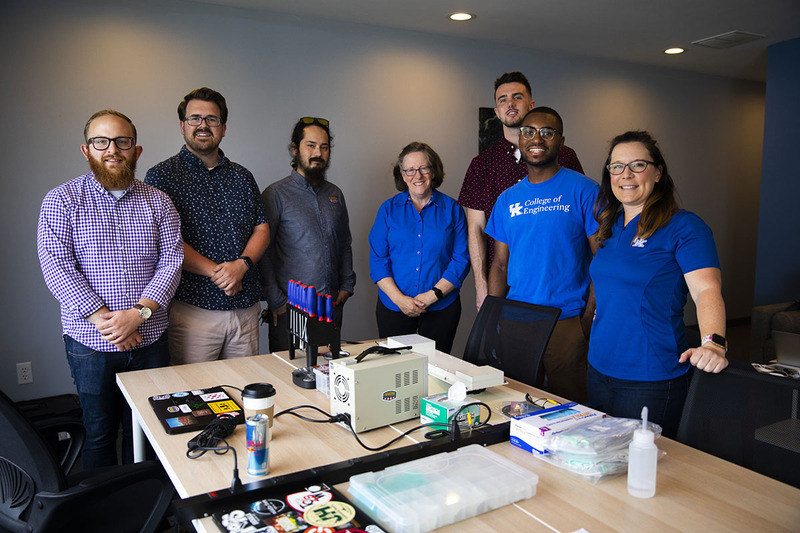 Being a small team of UK alumni, it's great to be able to support the next generation of space scientists and engineers in the central Kentucky region." 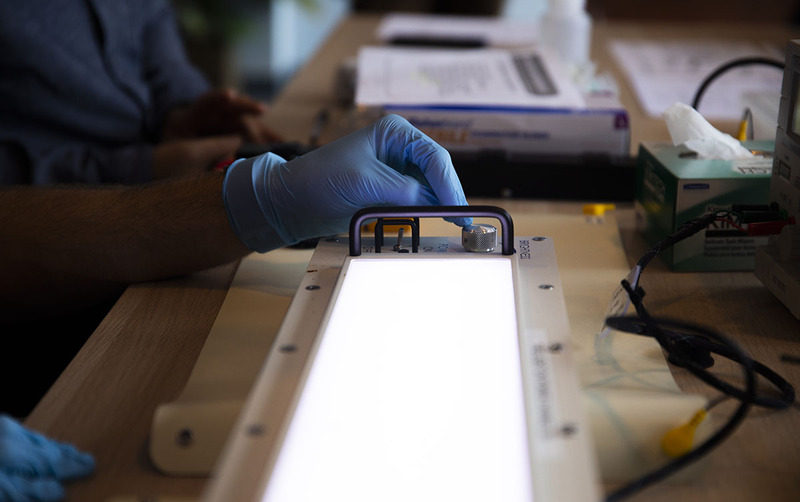 Prior to performing tests on the returned light board, the teams practiced on a similar light module that hadn’t gone into space. On July 28, the group opened the LED board were relieved to watch it power on. After that, they tested the backup power switch, the light’s dimming and maximum brightness settings, indicator, voltage regulator and program memory. So, did they discover any anomalies? More tests remain, which should be completed by the end of August. 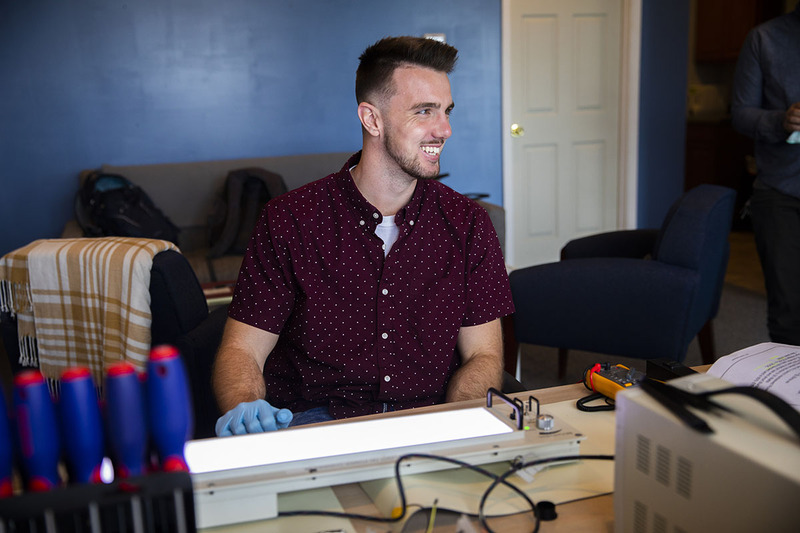 This fall, Grady will take similar LED boards that haven’t been to space to the NASA Space Radiation Laboratory at Brookhaven National Laboratory. Researchers can put materials in front of a laser beam that mimics cosmic radiation. “We want to measure changes at different radiation exposure amounts. These measurements will help us decide criteria for how long and how far spacecraft can use industry-grade materials,” said Grady. 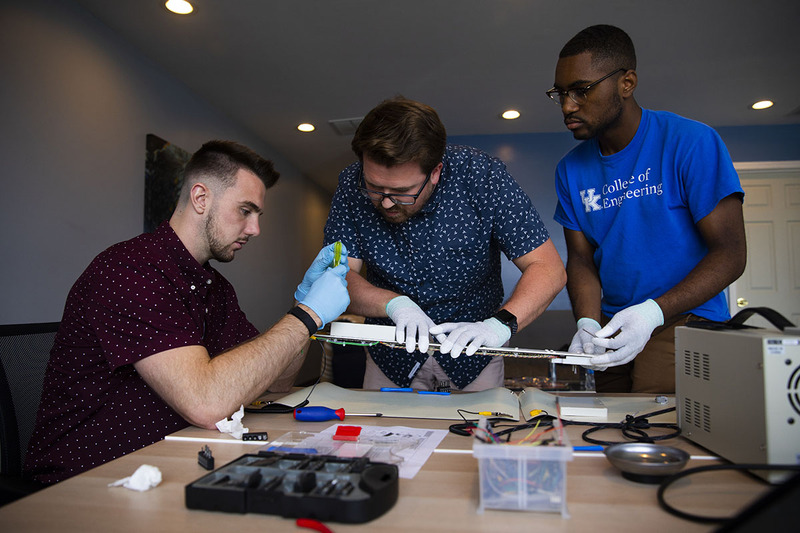 The UK group consisted of Grady, Smith and three students: computer engineering senior Reid Wahlbrink, mechanical engineering sophomore Julian Little and Dillon Pulliam, who graduated in May with degrees in computer engineering and computer science. Fellow UK Engineering alumni Paul Varnado (BSEE ’14), Zach Jacobs (BSEE ’07; MSEE ’12), Jason Rexroat (BSCompE ’13; BSEE ’13; MSEE ’15) and Diana David, who graduated with a bachelor’s degree in business administration, economics and mathematics in 2014, work on the Faradine team.